Sykes began her set at the Count Basie Center for the Arts on Thursday in Red Bank by making fun of how the public appears to be aging more quickly from stress during Trump's administration. 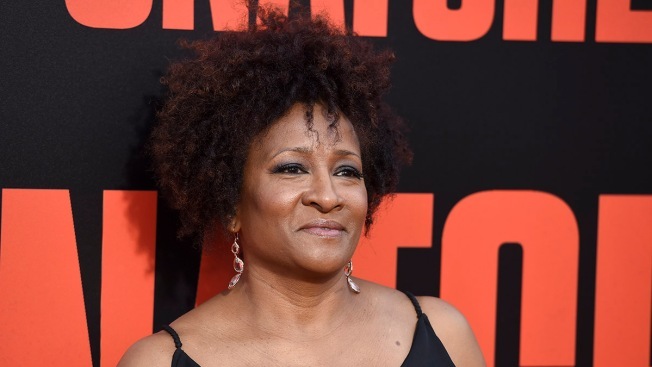 In this file photo, Wanda Sykes arrives at the Los Angeles premiere of "Snatched" at the Regency Village Theatre on Wednesday, May 10, 2017. Over a dozen angry fans walked out or were kicked out of comedian Wanda Sykes' show in New Jersey for heckling her when she opened with a series of jokes about President Donald Trump. Sykes began her set at the Count Basie Center for the Arts on Thursday in Red Bank by making fun of how the public appears to be aging more quickly from stress during Trump's administration. The Asbury Park Press reports some attendees began heckling Sykes, complaining that she was being political. About a dozen attendees walked out and began to argue with one another and staff in the lobby. Attendees who stayed at the show say that it was enjoyable and that attendees should have expected jokes at the president's expense. Theater staff declined to comment.